Do you have paintings you no longer love? Sell them in our sale! The Art from the Attic Sale is one of The Old School House Arts Centre’s most popular events. March 15 will mark the Thirteenth Anniversary sale at TOSH and everyone is a winner with this sale: bring in your paintings or prints or lithographs or photographs to sell in the art gallery. You get 60% and TOSH gets 40% of each piece sold. Each painting needs an entry form which is currently available at the front desk or can be filled out when you bring in your artwork. If you love art fairs and you love a good bargain, this is the show for you! You are sure to find something special and unique from among the quality artwork being presented at the Art from the Attic Sale. The sale will begin the moment the painting hits the walls on Friday, March 15 and runs until March 28th. However, on Friday March 22 the art work will receive further markdowns and by the last days you can make offers. In the past sales we have featured paintings from well-known artists to favourite locals. We have had over 200 pieces at each sale priced from $10.00 and up with the most popular price point set under $200. There will be works of art in oil, acrylic, watercolour and pastel depicting a variety of themes such as floral, landscape, abstract or representational showcased. 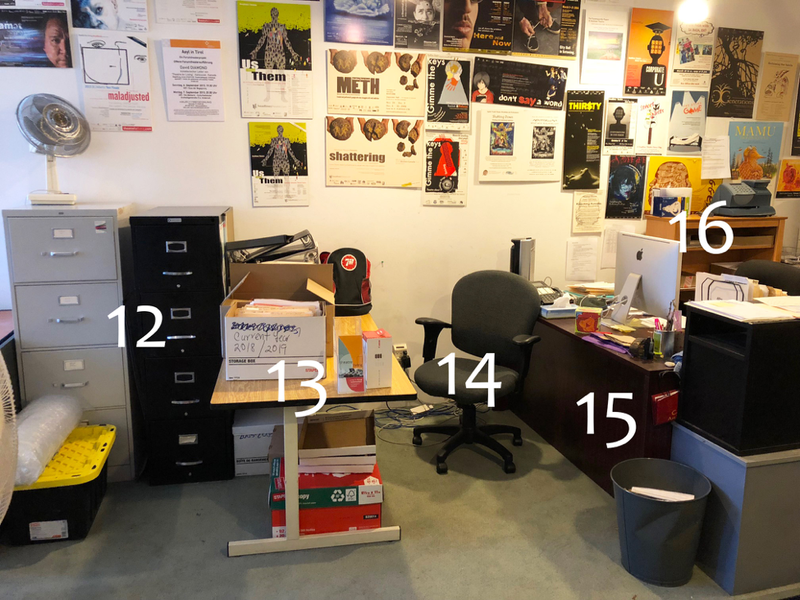 As part of the City of Richmond’s Affordable Housing Strategy, 17 brand new live/work studios are available for rent specifically to professional artists who can demonstrate financial need. Artists must complete and submit an application form to pre-qualify. • Amenities: Full shared building amenities, hot water and gas. Phone/cable/internet/hydro are not included. Eligible artists must make their primary living from their art practice(s) and must not make more than $41,500.00 Gross Annual Income per household during their tenancy as set by The Provincial Government’s definition of a household eligible for subsidies. Artists must include with their application: financial documentation from the past three years, references (landlord and professional), and examples of their art work. See application form for further requirements and submission details. Incomplete applications will not be processed. Please note: Completed applications and inquiries should be directed to Pinnacle International Realty Group’s Sorrento Artist Studio Program. Visit sorrentoartrentals.ca for contact info and details. 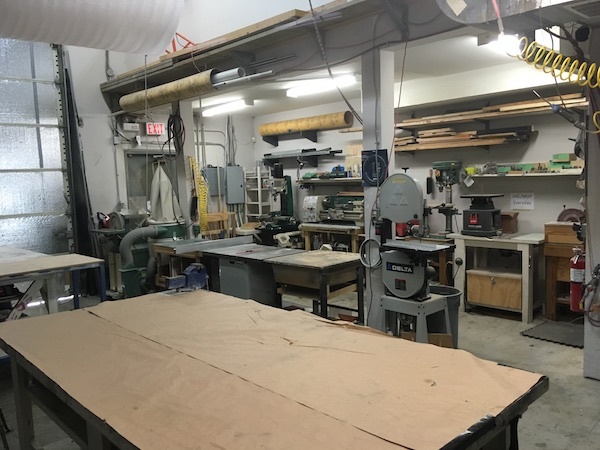 This 1,207 square foot studio space is available to rent from February to May for $2,414 per month (not including GST) with an option for extension without rent increase. 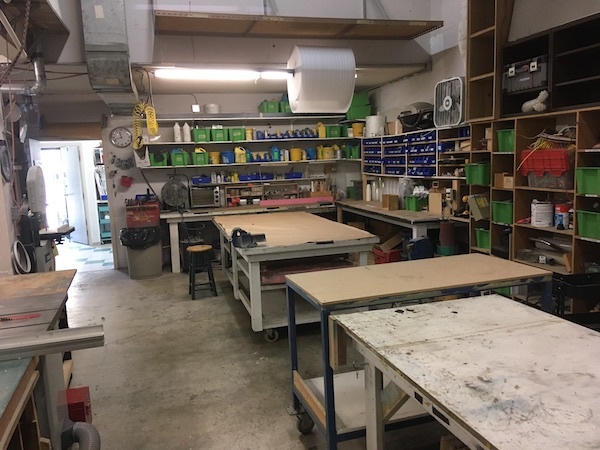 This space is suitable for art production and has been used as a screen printing and textile studio. The space features high ceilings and concrete floors, and is secured with key card access to the floor along with on site security. BC Artscape Sun Wah brings together a diverse mix of artists, cultural producers, community groups and the public to create a community asset that enriches the area's unique sense of place. We invite professional artists and collectives, not-for-profit arts, cultural and community organizations, and community groups to apply to be a tenant at BC Artscape Sun Wah in Vancouver's Chinatown. Charming, Bright 1940's cottage, scenic Keremeoes, 30 min. to Penticton/ Okanagan. 70' x 125' landscaped lot, garage. Last 7 years - roof, stucco, electric, plumbing, insulation, windows, kitchen, bathroom. 9 ft. ceilings, fir floors, covered deck, enclosed porch. Fresh paint. Excellent layout for home/gallery or gallery/guest suite. Lotsa' room to build. Please call for photo's, more info. Selling as is. 700 sq. ft. office space on street level strata building. 3 separate offices, reception area, kitchen and bathroom, and two parking spaces, $1500 monthly based on year lease. Cozy studio space in heritage building available for casual rentals. Studio can seat between 25-45 people for meetings, readings, or small performances. For filming, performances, or pre-registered paid events, please direct your inquiries to firehall@firehallartscentre.ca for a rental quote. Deposits on rentals may be required. Dependent on the nature and time of your rentals, a Firehall staff person may need to be available at an additional cost. Technical crew is required for events with hanging lighting or other hanging equipment. Please call or e-mail for inquiries on availability and pricing. 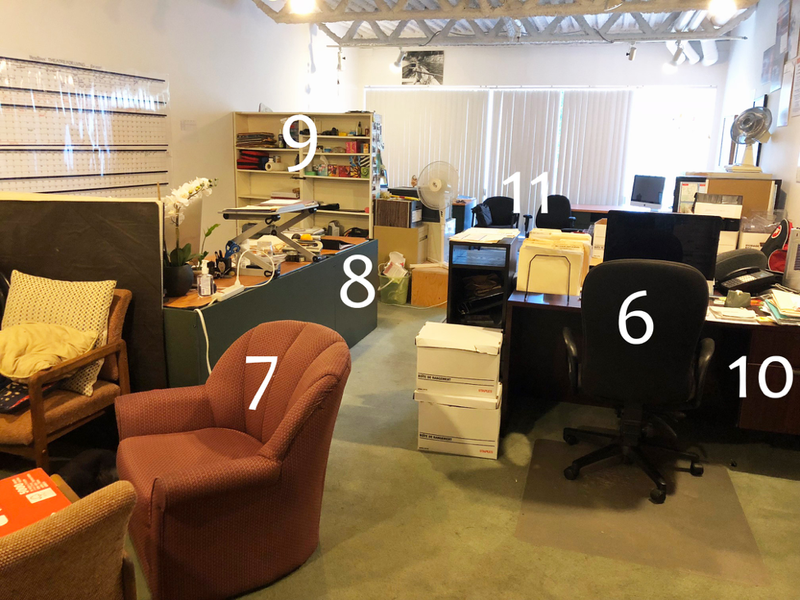 $315.00/ month Private work space 80 sq ft with additional storage. 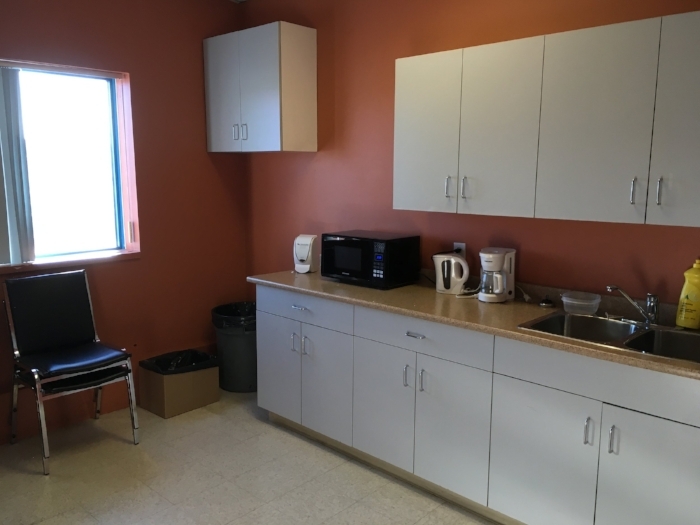 Heat, electricity, wi-fi, secure 24 hr access, bright studios with skylights, 200 sq ft gallery/project space, a small kitchenette, mini fridge, toaster oven, and kettle. A bathroom with a slop sink for cleaning brushes. 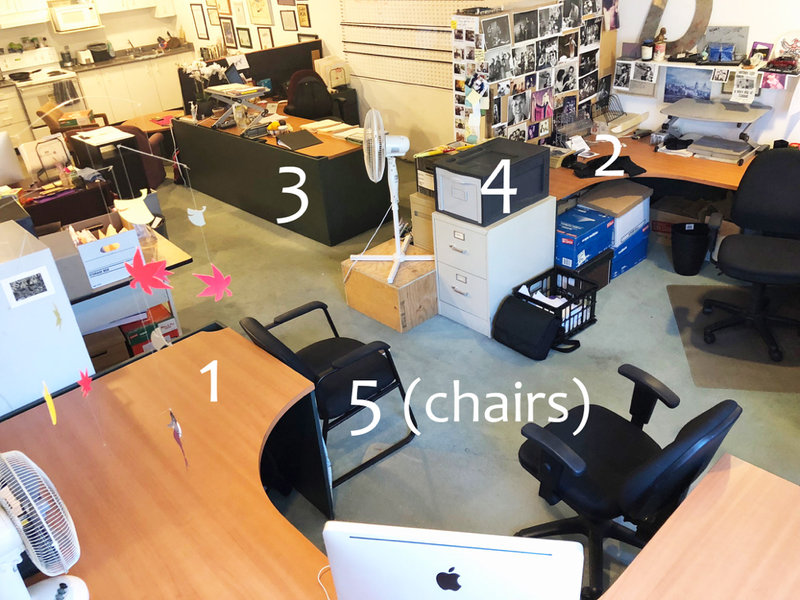 There are 12 studios in total and one gallery space all located on the second floor of the building. *please note studios are airy but there is no ventilation for toxic materials like spray paint. frequently studios come available over the year. REQUEST FOR PROPOSALS – Policy and Operational Manual: Research, Development and Implementation. The West Kootenay Regional Arts Council (WKRAC) is seeking a qualified contractor with Human Resources training / experience to work with us to develop a comprehensive Policy and Operational Manual. Read the complete RFP by visiting www.wkartscouncil.com. RFP closing date: April 23, 2018. Timeline: all duties and deliverables must be provided before June 30, 2018. The Shop Theatre is a 100 seat, 2200 sq ft venue available to theatre companies, musicians and special event producers for rent on a daily or weekly basis. 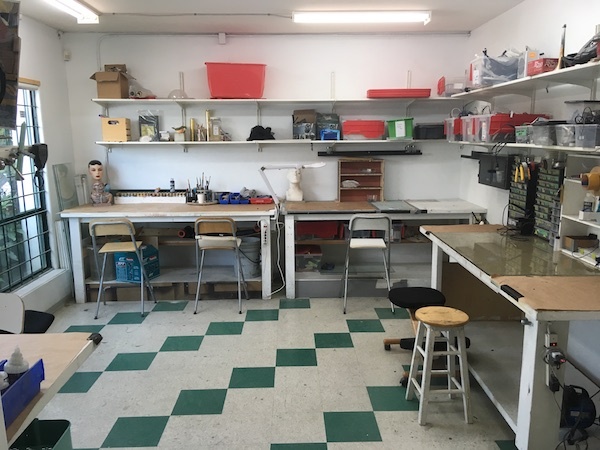 Conveniently located at 3030 East Broadway in Renegade Productions arts facility, The Shop is on a major transit route, has plenty of free parking, has easy loading and is wheelchair friendly. Lighting, sound equipment, wifi, lounge, dressing room, kitchenette and a bar area are included. Bookings info at the links below. Renegade has a new location in East Vancouver at 3030 E Broadway. The multi-use arts facility has 2 large and 1 smaller theatre rehearsal studios available. 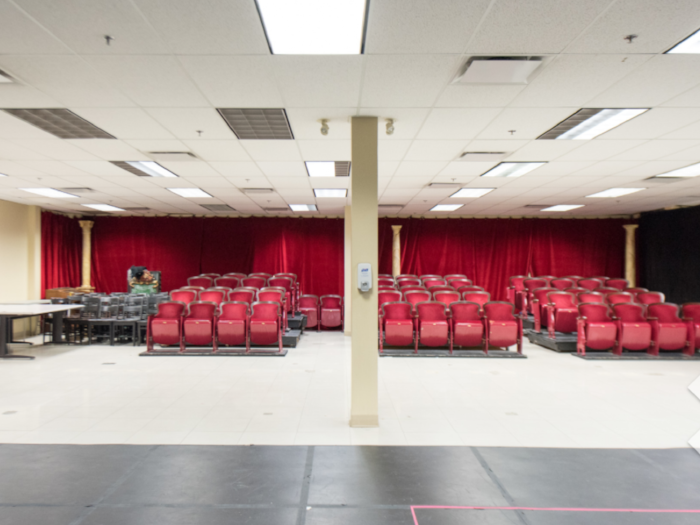 Studio A is set up as a theatre with beautiful seating in a 2,200 sq ft bright, clean studio with masonite flooring, lighting, sound system, piano, and plenty of tables and chairs. There is also a 1,000 sq ft studio with floor to ceiling windows, mirrors and a sprung floor. Renegade Broadway is on a major transit route, has plenty of free parking, wifi, a kitchenette, 2 lounges, and wheelchair access. There is an on-site prop shop as well as music and art studios. Renegade Productions is Vancouver's largest and most established music rehearsal facility. Located in East Vancouver on a major transit route at 3030 E Broadway, Renegade has multiple lockout as well as large shared spaces. There is plenty of free parking, 2 lounges, wifi, a kitchenette and easy loading in a clean, well-managed, secure. building. 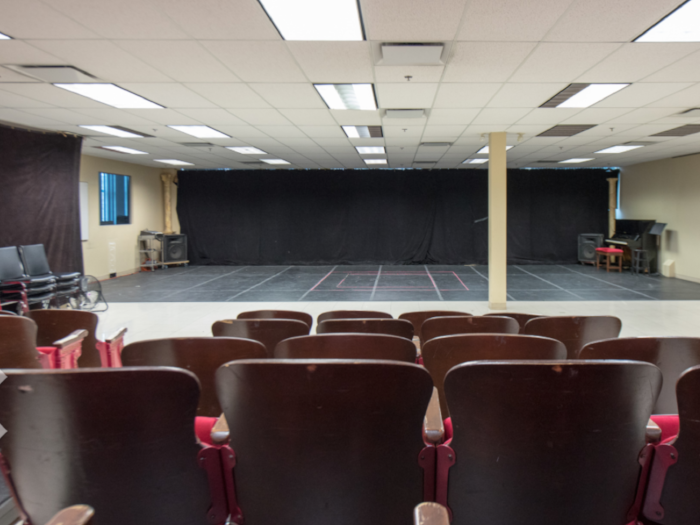 Mix it up with our theatre, art and dance clients in a one-of-a-kind multi-use facility! 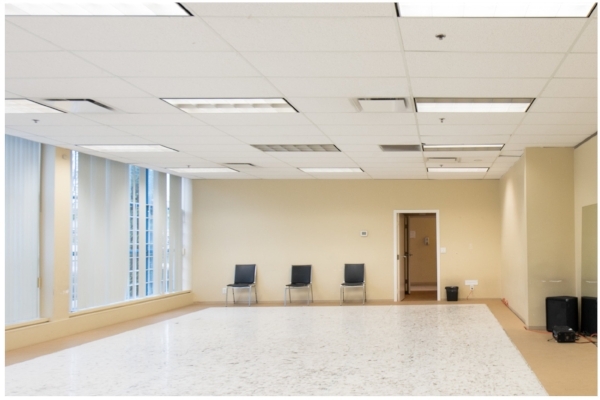 Beautiful, bright,1000 + sq ft dance studio available in East Van at Renegade Productions' new 3030 E Broadway location. The studio has a sprung, marley floor, wall-to-ceiling windows, wall of mirrors, and a great sound system. The facility is multi-disciplinary, with theatre, music, and visual art studios as well. 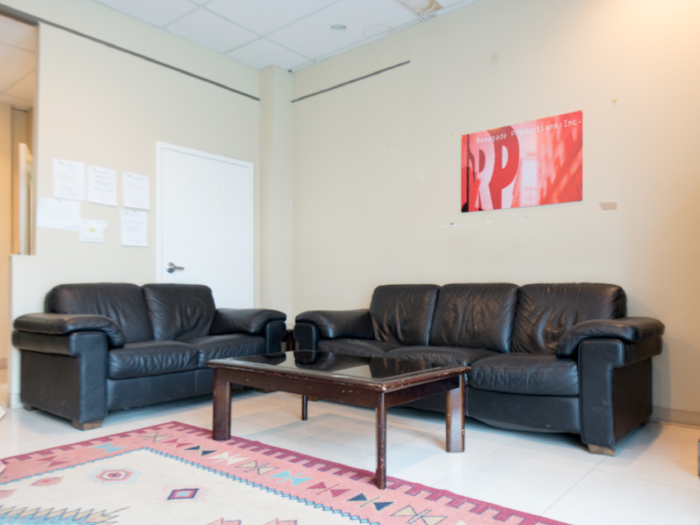 Located on a major transit route, the studio has plenty of free parking,wifi, a lounge and kitchenette. All styles welcome!